The new rear discharge FLEX-WING finishing mower series has been designed to provide the quality, precise mowing and smooth cut professional demands. Each model features 3 floating decks with 4 wheels on each deck. Available in a choice of: 12' 15' or IT cutting widths. 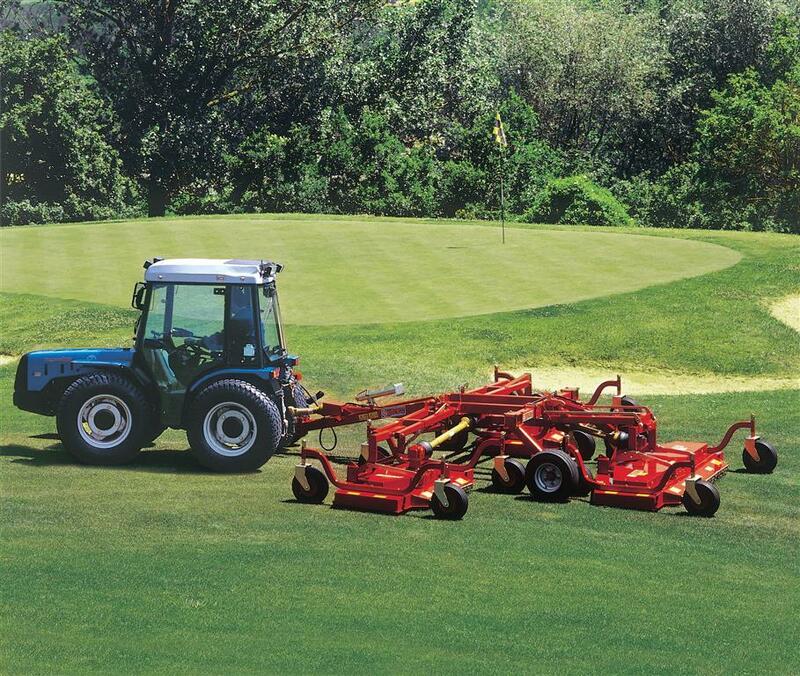 This is the ideal mower for golf courses, parks and large areas maintenance. 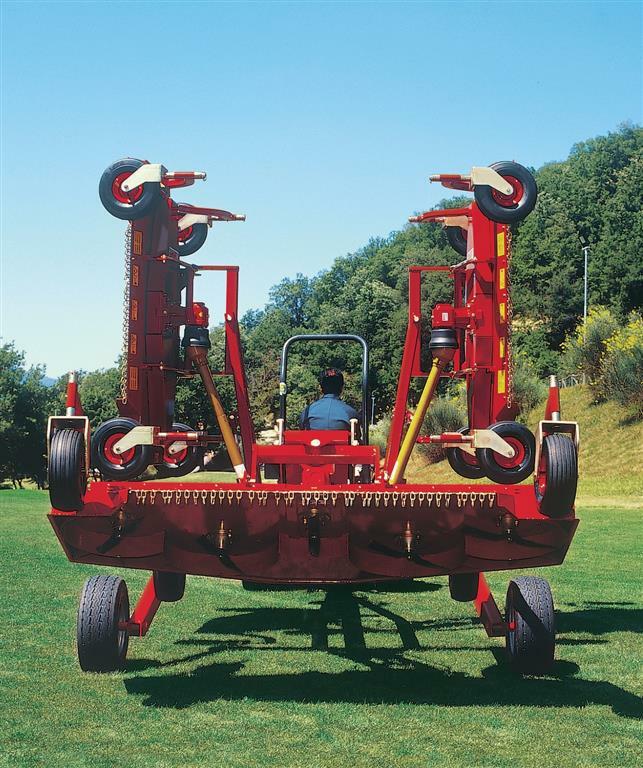 Wing decks flex front to rear and side to side during working for better mowing on uneven terrain. Compare these large-areas mowers in quality, durability and operating performance and you will see that these are the best choice for clean and smooth mowing jobs. 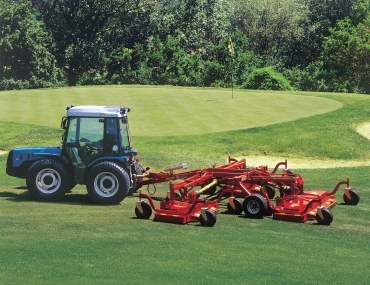 Sitrex Flex-Wing finishing mower is fitted with a tie-rod system that allows mower's oscillation during working while in transport position this tie-rod system automatically keeps the side mowers in vertical position. The adjustable hitch allows height adjustment to fit different types of tractors. Cutting Height Range 1" - 5"